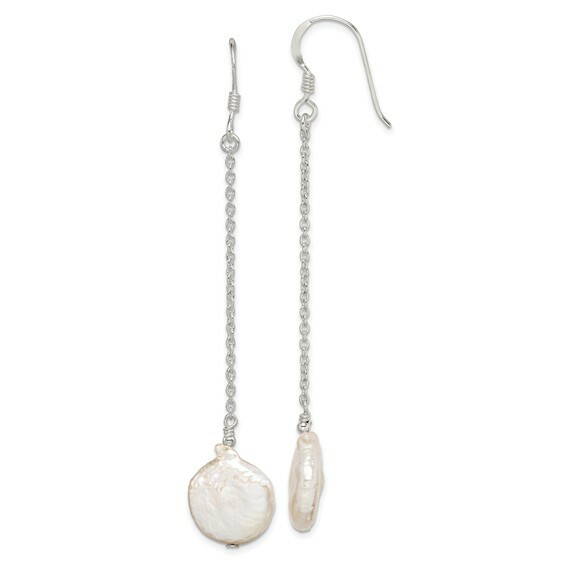 Peach biwa coin pearl threaded Earrings are made of polished sterling silver. Weight:1.12 grams. Measures 2 5/8 inches tall.